In the aftermath of the decision of the United Kingdom to leave the European Union (EU), many insurance companies are now looking to re-establish themselves in a country with guaranteed access to the single market in advance of the expiry of the transitional period, which has been provisionally agreed to end in December 2020. The efficiency of Irish domestic regulators, well-established prudential regulation and a young, well-educated English-speaking workforce has cemented Ireland's status as a thriving hub for the insurance industry in the EU. The Central Bank of Ireland (the Central Bank) has responsibility for the authorisation and ongoing supervision of insurance and reinsurance undertakings, insurance intermediaries and captives. The supervisory role of the Central Bank involves ongoing review and assessment of an undertaking's corporate governance, risk management and internal control systems. The Central Bank's administrative sanctions regime provides it with a credible tool of enforcement and acts as an effective deterrent against breaches of financial services law. In order to facilitate this supervisory process, (re)insurance undertakings are obliged to submit annual and quarterly returns to the Central Bank in respect of their solvency margins and technical provisions. The Central Bank is also empowered to conduct regular themed inspections across the industry. The Central Bank has published a number of guidance notes in respect of the authorisation process and ongoing requirements applicable to regulated firms under its supervision. These include, but are not limited to, the Corporate Governance Requirements for Insurance Undertakings 2015, the Corporate Governance Requirements for Captive Insurance and Reinsurance Undertakings 2015, the Consumer Protection Code 2012, the Fitness and Probity Standards, the Minimum Competency Regulations 2017 and the Minimum Competency Code 2017. In order to operate as an insurance undertaking in Ireland, an entity must either be authorised and regulated by the Central Bank or recognised by another EU regulator, which in turn enables the entity to avail of the 'single passport' regime. As to the process applied by the Central Bank when reviewing a licence application made pursuant to European Union (Insurance and Reinsurance) Regulations 2015 (the Irish Regulations), which implemented the EU Directive 2009/138/EC (Solvency II) in Ireland, the applicant first has a preliminary meeting with the Authorisations Team of the Central Bank. Thereafter, the application proceeds through the submission of a detailed application and business plan to the Central Bank. Broadly speaking, subject to the applicant satisfying the requirements of the Central Bank in respect of minimum capital requirements and any additional preconditions and/or undertakings specified in the letter of authorisation in principle issued by the Central Bank, the applicant will be issued with a formal final certificate of authorisation. A reinsurance provider can also establish a special purpose reinsurance vehicle (SPRV), which can streamline the authorisation process and that is subject to less rigorous supervision by the Central Bank; in comparison with fully regulated insurers. ensuring compliance by all directors, executives and staff with the fitness and probity regime. As part of an application for authorisation, the Central Bank reviews both the proposed corporate governance structures and the individuals who are to be appointed to key roles within the (re)insurance undertaking. This is to ensure that the undertaking has the necessary people, skills, processes and structures to successfully manage its (re)insurance business. All proposed directors and senior management will have to apply to the Central Bank for prior approval to act as part of the Central Bank's Fitness and Probity regime. Forty-eight senior positions are prescribed as pre-approval controlled functions (PCFs), including the positions of director, head of finance and head of compliance. PCFs are a subset of Controlled Functions (CFs) – in other words PCFs are by definition also CFs. Unlike CFs, the prior approval of the Central Bank is required before an individual can be appointed to a PCF, to ensure that a person performing a PCF has a level of fitness and probity appropriate to the performance of that particular function. The individual must complete an online individual questionnaire that is endorsed by the proposing entity and then submitted electronically to the Central Bank for assessment. The main implication of being appointed to a PCF role is that a person must comply on an ongoing basis with the Fitness and Probity Standards introduced by the Central Bank Reform Act 2010 and confirm this in writing to the Central Bank. Where a person comes within the Minimum Competency Framework (as defined below), qualifications may be necessary but generally no set exams are mandatory. The Central Bank is required to set out a specification for each PCF role that might include a qualification (see Appendix 3 of the Minimum Competency Code 2017), and the PCF holder must meet that specification. Once a (re)insurance undertaking holds the relevant authorisation, it is entitled to market and sell both its services and contracts in Ireland. However, the manner in which (re)insurance contracts can be marketed and sold to the consumer is subject to a number of general good requirements contained in the Consumer Protection Code 2012 (published by the Central Bank); Consumer Protection Act 2007; Sale of Goods and Supply of Services Act 1980; European Communities (Unfair Terms in Consumer Contracts) Regulations 1995; and the European Communities (Distance Marketing of Consumer Financial Services) Regulations 2004. Non-life insurance business carried on by a company in Ireland is taxed at the standard rate of 12.5 per cent corporation tax. While profits liable to taxation are generally recognised in accordance with relevant accounting treatment, particular accounting treatment applies to certain aspects of the insurance business such as: the realisation of non-financial investment assets; treatment of equalisation or catastrophe reserves; and taxation of captive insurers (which is similar to the treatment of non-captives). There is a divergence in the tax treatment of life assurance companies; depending on whether its life assurance business was contracted before or after 1 January 2001. Business contracted prior to 1 January 2001 is taxed on investment return as apportioned between policyholders and shareholders; with the policyholder's share taxed at 20 per cent on an annual basis and the shareholder's share taxed at 12.5 per cent corporation tax rate. Conversely, for business contracted after 1 January 2001, income and gains within the fund are not liable to tax for the term of the policy. Exit taxes arise on payments made to certain classes of Irish policyholders. The exit tax rates applicable are 25 per cent where the policyholder is a company and opts to make an election or 41 per cent in all other cases. Policyholders that are not resident in Ireland and can provide a declaration to that effect are exempt from paying tax in Ireland. The insurer's income from business contracted after 1 January 2001 is liable to tax at the standard corporation tax rate of 12.5 per cent. Reinsurance business is taxed in the same manner as non-life insurance businesses at the standard 12.5 per cent corporation tax rate. The distinction between business contracted before or after 1 January 2001 in respect of life assurance businesses does not apply to reinsurance companies. However, it is possible to establish SPRVs on a tax-neutral basis, provided they qualify under Section 110 of the Taxes Consolidation Act 1997. SPRVs are liable to tax at 25 per cent, however, this is charged on the company's net taxable profit, which, by virtue of specific tax-deductible expenditure, can be maintained at a very low level. The Financial Services and Pensions Ombudsman Act 2017 (the 2018 Act) came into force on 1 January 2018. The 2018 Act amalgamates the Financial Services Ombudsman and the Pensions Authority into the Office of the Financial Services and Pensions Ombudsman (FSPO). The 2018 Act strengthens the functions of the FSPO and extends the limitation period for bringing complaints to the FSPO. The current limitation period for consumer complaint(s) in respect of 'long-term financial services' has been extended from six years to: (1) six years from the date of the conduct giving rise to the complaint; or (2) three years from the date on which the person making the complaint first became aware or ought to have become aware of that act or conduct; or (3) such longer period as may be permitted by the FSPO. Significantly, the 2018 Act applies retrospectively although it is limited to conduct complained of after 2002. Therefore, the FSPO can investigate conduct complained of before the enactment of the 2018 Act owing to the now extended limitation period, in circumstances where such complaints would have been previously refused as a result of being statute barred. However, the service to which the complaint relates must also not have expired or have been terminated more than six years before the date of the relevant complaint. The EU (Non-Financial and Diversity Information Disclosure) Regulations 2017 (the 2017 Regulations) came into operation on 21 August 2017 and will apply in respect of all financial years commencing on or after 1 August 2017. The 2017 Regulations introduce two distinct obligations – (1) non-financial reporting; and (2) diversity reporting – based on different qualifying criteria. It is possible for a company to fall within scope of both reporting regimes. • is an insurance undertaking, or is another type of undertaking specified in the Act, for example, an investment company. The non-financial statement should contain information relating to environmental matters, social and employee matters, respect for human rights, and bribery and corruption matters, to the extent necessary for an understanding of the development, performance, position and impact of the company's activity relating to these matters. A brief description of the company's business model, policies and an analysis of the non-financial key performance indicators relevant to the particular business should also be included. As above, the Minimum Competency Code 2017 and the Central Bank (Supervision and Enforcement) Act 2013 (Section 48(1) of the Minimum Competency Regulations 2017 (the Minimum Competency Regulations 2017)) replace the existing Minimum Competency Code 2011 with effect from 3 January 2018. The Minimum Competency Code 2017 and the Minimum Competency Regulations 2017 are together the 'Minimum Competency Framework'. The Minimum Competency Framework has been introduced to incorporate the implementation of the Insurance Distribution Directive (IDD), the Markets in Financial Instruments Directive II (MiFID II), the associated European Securities and Markets Authority (ESMA) Guidelines and the European (Consumer Mortgages Credit Agreements) Regulations 2016.
comply with the new entrants' provisions, which includes participating in a training process. Regulated firms are now required to conduct an annual review of their staff's development and experience needs. The Minimum Competency Code 2017 requires regulated firms to provide a certificate of such qualifications, if requested to do so by a consumer. The EU Regulation on Packaged Retail and Insurance-Based Investment Products (PRIIPs) (EU 1286/2014) (the PRIIPs Regulation), supplemented by the PRIIPs Regulatory Technical Standards 2017 (Delegated Regulation 2017/653) (RTS), came into effect on 1 January 2018. The PRIIPs Regulation is a key piece of legislation, which aims to enable retail investors to understand and compare the key features and the potential risks and rewards of investment products, funds and investment-linked insurance policies. PRIIPs introduces the obligation to provide a key information document (KID), which is a pre-contractual key fact sheet that will inform retail investors of the main features, risks, reward profile and costs associated with a product in a clear and accessible manner. The form and content of the KID is standardised by the RTS in order to facilitate the comparison of similar products and coordinate disclosure requirements across the European insurance market. The wide definition of PRIIPs under the PRIIPs Regulation means that all manufacturers and financial intermediaries that distribute PRIIPs to retail investors fall within its scope. However, certain products, including non-life insurance products and pension products, are specifically excluded from its application and entities subject to the Undertakings for Collective Investment in Transferable Securities are not obliged to comply with PRIIPs until 1 January 2020. Data protection in Ireland is governed by the Data Protection Acts 1988 and 2003 (DPA), which transposed the EU Directive 95/46/EU into Irish law (the Data Protection Directive). The provisions in the DPA will be largely superseded by the General Data Protection Regulation (Regulation (EU) 2016/679 of the European Parliament and of the Council of 27 April 2016) (GDPR), which will come into force on 25 May 2018. The GDPR will be directly effective in Ireland meaning that the Irish parliament does not have to implement national legislation for the GDPR to become law. Notwithstanding this, the GDPR allows Member States of the European Union to derogate from some provisions of the GDPR whereby Member States can legislate for these areas separately under national law. The GDPR enhances and extends current data protection principles such as transparency, security and data minimisation. It also has higher standards in relation to accountability whereby data controllers and data processors are accountable for and must demonstrate compliance with their respective obligations under the GDPR. The Irish Data Protection Commissioner (DPC) will continue to proactively undertake a wide range of initiatives to build awareness of the GDPR. The DPC will be in a strong position to take action against data controllers and data processors that breach the rights of individuals under the GDPR. In 2017, the DPC's budget was increased by the Irish government and there has been a significant growth in the number of staff, which indicates the DPC will be well equipped to address non-compliance with the GDPR. The Data Protection Bill 2018 (the Bill) was published on 1 February 2018, and is intended to give further effect to the GDPR in Irish law. The Bill legislates for most areas where derogations from the default position in the GDPR are permitted. This includes the introduction of a section in the Bill allowing an exemption to the general prohibition to process special categories of personal data where the processing will be for insurance and pension purposes. It is not clear yet when the Bill will be enacted or if the current draft of the Bill will be further amended by parliament. Insurance undertakings regulated by the Central Bank are required to meet the capital and solvency requirements set out under Solvency II and the Irish Regulations. In accordance with Solvency II, Irish-authorised insurance undertakings are also required to establish and maintain a further solvency margin as a buffer, to ensure their assets are sufficient to cover their liabilities. The Solvency II capital requirements are calculated based on the specific risks borne by the relevant insurer and are prospective in nature (i.e., each insurer must make the relevant calculations at least once a year to cover both existing business and the new business expected to be written over the following 12 months). Solvency II imposes a solvency capital requirement (SCR) and a lower minimum capital requirement (MCR). An insurance undertaking may calculate the SCR based on the formula set out in the Irish Regulations or by using its own internal model approved by the Central Bank. The SCR should amount to a high level of eligible own funds, thereby enabling the undertaking to withstand significant losses and ensuring a prudent level of protection for policyholders and beneficiaries. The MCR should be calculated in a clear and simple manner, corresponding to an amount of eligible, basic own funds, below which policyholders and beneficiaries would be exposed to an unacceptable level of risk if the undertaking was allowed to continue its operations. An insurance undertaking must have procedures in place to identify and inform the Central Bank immediately of any deteriorating financial conditions. As such, the SCR and MCR provide for clear channels by which the Central Bank can monitor the financial state of insurance undertakings. In the event of a breach of the capital requirements, the Central Bank will employ an escalating ladder of supervisory intervention, allowing for the implementation of a recovery plan by an insurance undertaking, as approved by the Central Bank. Where there is a breach of the SCR or MCR, compliance must be re-established within six months or three months respectively, otherwise the Central Bank may restrict the free disposal of the assets of the undertaking and ultimately withdraw its authorisation. In general terms, insurers retain significant freedom of contract; however, this has been tempered in recent years by legislation enacted to comply with EU law in the area of consumer protection including the Unfair Terms in Consumer Contracts Directive 1993/13/EC and the Distance Marketing of Financial Services Directive 2002/65/EC. In circumstances where the insured is a 'consumer', the insurer must also comply with the Consumer Protection Code 2012 and Consumer Protection Act 2007. The Sale of Goods and Supply of Services Act 1980 is also applicable to insurance contracts. Save for the transposition of EU legislation, there have been very few substantive legislative amendments to the law in this area in recent years. The Marine Insurance Act 1906 remains the most recent codification of general principles of insurance law. The LRC has, however, recommended reforms to consumer insurance law and published a draft bill in July 2015. The LRC recommendations have largely been incorporated into the Consumer Insurance Contracts Bill 2017, which was referred to the Select Committee on Finance, Public Expenditure and Reform, and Taoiseach in February 2017. The Bill is at the third stage before the Dáil, however, there is no clear timeline for implementation. The definition of a consumer in the Bill is quite broad and includes individuals and small businesses with a turnover of less than €3 million (provided that these persons are not a member of a group having a combined turnover greater than €3 million). This is the definition currently used for the purpose of complaints to the FSPO and under the Central Bank's Consumer Protection Code 2012. The Insurance Distribution (Recast) 2016/97 (IDD) is required to be transposed into Irish law by 23 February 2018, at which point the provisions of the European Communities (Insurance Mediation) Regulations 2005 (IMD Regulations) will be repealed. However, owing to discussions held at European level, the application date of the IDD is now postponed to 1 October 2018. The IDD creates a minimum legislative framework for the distribution of (re)insurance products within the EU and aims to facilitate market integration and enhance consumer protection. IDD introduces general consumer protection principles for all insurance distributors to act honestly, fairly and professionally and in accordance with the best interests of the customer. Insurance distributors may not incentivise or remunerate their employees in a manner that would conflict with their duty to act in the customers' best interests. In addition, insurance intermediaries are required to disclose the nature of any remuneration received in relation to an insurance contract to the customer. Insurance undertakings and intermediaries that manufacture any insurance product for sale to customers are required to implement product oversight and governance procedures prior to distributing or marketing an insurance product to customers. A target market must be identified for each product to ensure that the relevant risks to that target market are identified, assessed and regularly reviewed. The law in relation to insurance contracts in Ireland is primarily governed by common law principles, the origins of which can be found in case law. Insurance contracts are governed by the general principles of contract law, common law and the principle of good faith. There are no specific rules for the formation of an insurance contract beyond these general duties. There is no statutory definition of a contract of insurance under Irish law, and Irish legislation does not specify the essential legal elements of an insurance contract. As a result, the courts have considered it on a case-by-case basis. the principle of subrogation is applied, where appropriate. This is generally not appropriate in relation to life assurance or personal injury policies. Under Irish law there is no difference between an insurance contract and a reinsurance contract. It should be noted in the context of consumer policies that the Consumer Insurance Contracts Bill 2017 proposes to reform the area of insurable interests. Section 5 of that Bill provides that an insurer cannot reject an otherwise valid insurance contract on the basis that the insured does not or did not have an insurable interest. Where the contract of insurance is also a contract of indemnity, the insured must have an interest, however, it does not need to extend past a factual expectation of an economic benefit from preserving the subject matter or loss on its destruction damage or loss. In addition, an insurer may not refuse liability under a contract on the basis that the name of the person who may benefit is not specified in the policy. An insurance policy will usually comprise a proposal form, policy terms and conditions, and supporting documentation provided to the insurer by the insured. The policy will typically contain express terms defining the cover being provided, exclusions to cover, excess, conditions or conditions precedent and warranties. The information provided to the insurer at placement depends on the risk and the requirements of the insurer in question; however, there has been a recent trend towards very short proposal forms that do not request detailed information about the risk. It was anticipated this would change in line with the changes in the UK driven by the Insurance Act 2015; however, it remains to be seen whether there will in fact be a significant change in Ireland. Parties to contracts of insurance are subject to the duty of utmost good faith. As a result, the insured or proposer has a duty prior to renewal or inception to disclose all material facts. The remedy for breach of the duty is avoidance. A material fact is one that would influence the judgement of a prudent underwriter in deciding whether to underwrite the contract; and, if so, the terms (such as the premium) on which it might do so. Misrepresentation is closely related to non-disclosure and attracts the same remedy. To rely on misrepresentation, the insurer must establish that there has been a representation of fact made by the insured that is untrue. Misrepresentations can be fraudulent, reckless or innocent. The common law position is that a misrepresentation is fraudulent if made with knowledge of its falsity or without belief that it was true or with reckless disregard as to whether it was true or false. In practice, many insurance policies contain 'innocent non-disclosure' clauses that prevent the insurer from avoiding the policy for an innocent non-disclosure or misrepresentation. In respect of consumer insurance only, the Consumer Insurance Contracts Bill 2017 proposes to replace the duty of disclosure with a duty to answer specific questions honestly and with reasonable care. The questions posed by the insurer should identify the material risk and the relevant information actually to be relied upon by the insurer. There is no duty to provide additional information on renewal unless specifically requested by the insurer. The Bill also proposes that in cases of innocent or negligent non-disclosure and misrepresentation, the principal remedy should be to adjust the payment of the claim taking account of the carelessness of the insured and whether the breach in question affected the risk. The Bill retains avoidance as a remedy for fraudulent breaches on public policy grounds. Insurance contracts are generally required to be evidenced by a written policy. There are various legislative provisions that impose mandatory requirements concerning the form and content of insurance contracts, some of which are derived from EU law. The Consumer Insurance Contracts Bill 2017 proposes to consolidate the essential requirements concerning the form of consumer insurance contracts in a single general legislative framework. Insurance contracts are subject to the same general principles of interpretation as other contracts. The Irish Supreme Court has confirmed in two judgments, Analog Devices v. Zurich Insurance and ors and Emo Oil v. Sun Alliance and London Insurance Company, that the principles of construction as set out by Lord Hoffman in ICS v. West Bromwich Building Society should be applied to the interpretation of insurance contracts. In summary, interpretation is the ascertainment of the meaning that the document would convey to a reasonable person having all the background knowledge that would reasonably have been available to the parties in the situation in which they were at the time of the contract. The background or 'matrix of fact' should have been reasonably available to the parties and includes anything that would have affected the way in which the language of the document would have been understood by a reasonable person. The previous negotiations of the parties and their declarations of subjective intent are excluded from the admissible background. The meaning that a document (or any other utterance) would convey to a reasonable person is not the same thing as the meaning of its words. The meaning of the document is what the parties using those words against the relevant background would reasonably have been understood to mean. The 'rule' that words should be given their 'natural and ordinary meaning' reflects the common-sense proposition that it is not easy to accept that people have made linguistic mistakes, particularly in formal documents. On the other hand, if it could, nevertheless, be concluded from the background that something must have gone wrong with the language, the law does not require judges to attribute to the parties an intention that they plainly could not have had. The court will apply an objective approach to determine what would have been the intention of a reasonable person in the position of the parties. Where a contractual term is ambiguous, the interpretation less favourable to the drafter is adopted using the contra proferentem rule. professions whose professional bodies set professional indemnity insurance requirements. For example, practising solicitors, accountants and architects are required to have appropriate professional indemnity cover. The all-important element in the declaration usually contained in a proposal form is the phrase that makes the declaration the 'basis of the contract'. In making the proposal the basis of the contract, the proposer warrants the truth of his or her statements and, in the event of a breach of the warranty, the insurer can repudiate liability under the policy without reference to issues of materiality. However, basis of the contract clauses are considered to be very draconian by the Irish courts and there is a judicial reluctance to enforce such clauses. The Consumer Insurance Contracts Bill 2017 proposes to abolish basis of the contract clauses in consumer insurance policies. Typically, insurers in the Irish insurance market have standard policy conditions for each product that have developed over time. These policy conditions are influenced by industry norms as well as Irish judicial decisions in cases involving contractual clauses. Further, most Irish (re)insurers underwriting international business are familiar with London market terms (International Underwriting Association and Lloyd's Market Association). warranties: statements of fact or continuing intention by the insured in relation to the risk underwritten, such as a warranty that certain precautions will be taken in respect of particular activities. Warranties are construed very strictly by the Irish courts in circumstances where the breach discharges the insurer from liability from the date of breach (irrespective of whether the breach is material to the loss) and they are thus considered to be draconian. The Consumer Insurance Contracts Bill 2017 proposes to abolish warranties in consumer insurance contracts and replace these with suspensive conditions. Almost all insurance policies list terms of the contract as 'conditions'. The effect of a breach of condition in an insurance policy depends on whether that condition is a condition precedent to liability. Breach of a condition precedent entitles the insurer to decline cover for a claim in the event of a breach without the necessity to demonstrate that the insurer has suffered any prejudice. The remedy for breach of a bare condition is in damages. The Irish courts will not construe an insurance condition as a condition precedent unless it is expressed as a condition precedent, or the policy contains a general condition precedent provision. 'Follow the fortunes' and 'follow the settlements' clauses are common in Irish law reinsurance agreements. is operating in Ireland by virtue of the passport regime. (Re)insurance mediation involves work undertaken in connection with entering into contracts of (re)insurance, work undertaken prior to entering into such contracts, introducing persons to (re)insurance undertakings or other (re)insurance intermediaries with a view to entering into such contracts, or assisting in the administration and performance of such contracts (including loss assessing and dealing with claims under insurance contracts). the undertaking will implement internal procedures for the proper operation and maintenance of client premium accounts. effective access by the insurer, its external auditor and the Central Bank to all information on the outsourced functions and activities and permission to conduct on-site inspections. ensuring that senior management are sufficiently experienced to manage the business and to carry on activities on the intermediary's behalf. Notice requirements will vary depending on whether the policy in question is claims-made or losses-occurring. Claims-made policies typically require insurers to be notified of circumstances that may give rise to a claim within a short period of the insured becoming aware of the circumstances, and usually the policy will require notification of the circumstances and claims as soon as reasonably practicable. Some policies will specify time limits for notification. Where the notice requirements are stated to be a condition precedent to cover, the insurer will be entitled to decline cover for a breach of these requirements without needing to establish that it has suffered prejudice as a result of the breach. If the notice requirement is not stated to be a condition precedent and is a bare condition, the only remedy available to an insurer for breach of a condition is damages. The Irish courts are reluctant to allow insurers to decline claims on the basis of a technical breach of notice conditions, particularly where that breach is failure to notify a circumstance. The test applied by the courts is objective, however the court will consider whether the insured had actual knowledge of the circumstance that allegedly should have been notified to the insurers. The knowledge of the insured is a subjective test. While much of the case law regarding the duty of good faith is focused on the pre-contractual duty, the duty continues post-contract and is a mutual duty. There is, however, no common law duty on the insured to disclose changes in the risk insured during the policy period (although the contract may contain a requirement to this effect). Once a contract of insurance has been concluded, the relationship between insurer and insured is predominantly governed by the terms of the policy and typically the policy will impose obligations on the insured in relation to matters such as payment of premium, notification of claims and claims cooperation. The consequence of making a fraudulent claim is avoidance and the policyholder also forfeits the premium paid under the insurance contract. As noted above, the duty of good faith is mutual in nature; however, in practice breach of the duty by the insurer is rarely ever pursued because the only remedy for breach of the duty of good faith is avoidance of the contract. There are no statutory rules in Ireland that relate to the time in which a claim should be settled by an insurer, although provisions on claims settlement are included in the Central Bank's Consumer Protection Code 2012. In addition, the Consumer Insurance Contracts Bill 2017 proposes that, in the case of consumer insurance contracts, the insurer should be under a duty to handle claims promptly and fairly, and the insured should be entitled to damages where an insurer unreasonably withholds or delays payment of a valid claim. As per Regulation 20 of the European Communities (Reorganisation and Winding-up of Insurance Undertakings) Regulations 2003, the right of creditors to demand set-off of their claims against the claims of the insurance undertaking where set-off is permitted by the law applicable to the insurance undertaking's claim is not affected by winding-up proceedings against the insurance undertaking. However, a creditor must be in a position to demonstrate mutuality of claims between the parties in order to be able to rely on statutory set-off. The principle of indemnity has, to an extent, been eroded in recent years by insurers offering policies on a 'new for old' or 'reinstatement as new' basis, without any deduction for betterment or wear and tear, particularly in the areas of property damage and motor insurance. 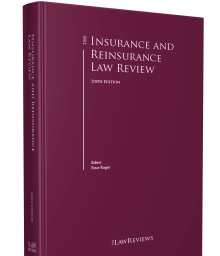 A policy written on a 'reinstatement as new' basis is subject to the principle of indemnity in that the insured cannot recover more than his or her loss. The sum insured in the policy is the maximum sum payable by insurers, but not necessarily the amount paid. If the work of reinstatement is not carried out, or is not carried out as quickly as is reasonably practicable, the insurer is only liable to pay the value of the property at the time of the loss. Insurance policies in Ireland often contain a dispute resolution clause enabling either party to refer a contractual dispute to a particular dispute resolution forum before proceeding to litigation. Arbitration clauses are the most common in this regard; however, mediation has developed into a common form of dispute resolution in Ireland. Any dispute arising under an insurance or reinsurance contract which contains an arbitration clause must be referred to arbitration. If court proceedings are brought and there is an arbitration agreement, the proceedings may be stayed in favour of arbitration. In circumstances where there is no arbitration clause in the contract, the dispute will be brought before the Irish courts. 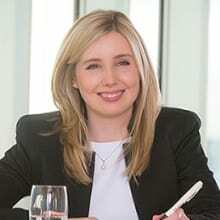 Mediation is also a common form of dispute resolution in Ireland, and since the introduction of the Mediation Act 2017 on 1 January 2018 solicitors are required to advise their clients of the merits of mediation as an alternative dispute resolution mechanism prior to issuing court proceedings. In addition, in order to issue proceedings, the Mediation Act requires the solicitor to swear a statutory declaration confirming that such advice has been provided and this declaration must be filed with the originating document in the relevant court office. Regulation (EC) 593/2008 on the law applicable to contractual obligations (Rome I Regulation). In Ireland, the jurisdiction in which proceedings are brought depends on the monetary value of the claim: the District Court deals with claims up to a value of €15,000 and the Circuit Court with claims up to a value of €75,000 (€60,000 for personal injuries cases). Claims with a value in excess of the Circuit Court jurisdiction are heard by the High Court, which has an unlimited monetary jurisdiction. the Court considers that the dispute is inherently commercial in nature. Insurance disputes before the courts in Ireland are heard by a judge sitting alone and not a jury. Except in the most limited circumstances evidence is to be given orally. Where the attendance of a witness is required at the trial of an action, the lawyer for either party can issue a witness summons on an individual resident in Ireland. If the person required to give evidence is out of the jurisdiction, it is not possible to require attendance through service of a summons. In such circumstances, it is possible to apply to take evidence on commission, or use letters rogatory, or in some cases, where the witness is in the United States, rely on a procedure under Title 28 of the United States Code 1782 to compel a witness in the US to give evidence or produce documents in proceedings before the Irish courts. With the exception of the Commercial Court, where it is a requirement in contractual disputes, there is no provision for the exchange of witness statements or expert reports in proceedings before the Irish courts. The general rule is that costs follow the event (i.e., the loser pays). However, there is a growing body of case law, mainly emanating from the Commercial Court, that suggests that if the litigation is 'complex', the court should engage in a more detailed analysis and should not just award full costs to the winning side if the plaintiff has not succeeded in all claims. Where the parties cannot agree on the costs incurred during the proceedings, the matter will be referred to taxation, where the taxing master will review the bill of costs and decide on the appropriate figure to be awarded to a party for its costs. The successful party will normally recover approximately 60 per cent of its recoverable costs known as 'party and party' costs. These will usually be approximately 50 to 75 per cent of the total costs incurred by the party in the litigation. There are a number of tools that a defendant can use to put the plaintiff 'on risk for costs' including lodgements, tenders and Calderbank offers. In essence, all of these involve the defendant offering a figure to settle the matter; if the plaintiff rejects the offer and is then awarded a lower amount at the hearing of the action, the plaintiff is penalised for costs. the agreement has not been individually negotiated. The United Nations Commission on International Trade Law (UNCITRAL) Model Law has applied to all Irish arbitrations since the introduction of the Arbitration Act 2010 on 8 June 2010. This Act has introduced increased finality to the arbitral process by restricting the basis for appealing awards and decisions, and reducing the scope for court intervention or oversight. The High Court has powers for granting interim measures of protection and assistance in the taking of evidence, although most interim measures may now also be granted by the arbitral tribunal under the 2010 Act. Once an arbitrator is appointed and the parties agree to refer their dispute for the arbitrator's decision, then the jurisdiction for the dispute effectively passes from the court to the arbitrator. A contract that does not contain a written arbitration agreement is not arbitrable and is specifically excluded from the application of the 2010 Act. The arbitration agreement must be in writing whether by way of a clause in the substantive contract or by way of separate agreement. While Section 2(2) of the 2010 Act stipulates that such clauses should be in writing, this provision has been given a broad interpretation to include an agreement concluded orally or by conduct as long as its content has been recorded in writing. Arbitration can be a more expensive option than litigation in circumstances where the arbitrator and the venue must be paid for while access to the courts is subject only to the payment of stamp duty, which is relatively modest in comparison with the costs in arbitration. Arbitration may be a favourable option, particularly for insurers, however, as the courts are traditionally seen as pro-insured in insurance disputes, given the draconian provisions in insurance contracts. Mediation is the most common form of alternative dispute resolution (ADR) for insurance disputes. The Mediation Act 2017 (which came into effect on 1 January 2018) requires solicitors to advise their clients of the merits of mediation as an alternative dispute resolution mechanism to issuing court proceedings in advance of issuing court proceedings. Prior to issuing proceedings, the Act requires the solicitor to swear a statutory declaration confirming that such advice has been provided, and this declaration must be filed with the originating document in the relevant court office when issuing proceedings. The courts cannot compel the parties to mediate disputes; however, in the High Court and Circuit Court, a judge may adjourn legal proceedings on application by either party to the action, or of its own initiative, to allow the parties to engage in an ADR process. When the parties decide to use the ADR process, the rules provide that the courts may extend the time for compliance with any provision of the rules. A party failing to mediate following a direction of the court can be penalised as to costs. Following the United Kingdom's decision to leave the EU and the subsequent triggering of Article 50, many financial services companies are now looking to establish a subsidiary in a country with access to the Single Market in order to mitigate the potential loss of passporting rights following the transitional period; which has been agreed to be December 2020. Ireland's well-established prudential regulation, common law jurisdiction, well-educated English speaking and flexible workforce together with its close proximity to the UK has cemented its status as a thriving hub for the insurance industry. Authorisation-related activity since the Brexit vote has continued to increase including queries regarding insurance authorisations. It is anticipated that the increase in authorisation-related activity will continue. In May 2017, the Irish Supreme Court confirmed in its decision in Persona Digital Telephony Ltd & Another v. Minister for Public Enterprise that third-party funding of litigation is unlawful, and indicated that any changes to the law in this regard in Ireland would be a matter for the legislature, not the courts. However, the Irish High Court has previously made clear that after-the-event insurance is valid; therefore, post-Persona Digital, ATE insurance is the only valid third-party funding in this jurisdiction. European and local competition regulators commenced an investigation into whether there are concerted practices between insurers and brokers in the commercial motor insurance industry in Ireland in 2017. There is a similar investigation in the UK in relation to the aviation sector. Following implementation of the Insurance Act 2015 in the UK in August 2016, insurance law in Ireland is now significantly different from the UK law for the first time since 1906. We anticipate that the implementation of the Act will have an impact on the Irish insurance industry as the Irish market is closely connected to the UK (in particular the London market) and many Irish risks are written subject to English law. However the significance of this impact remains to be seen. Following the UK Supreme Court decision in Plevin, a further redress scheme in respect of PPI is underway in the UK. It is possible, particularly in light of the changes to the limitation period for claims to the Financial Services and Pensions Ombudsman in relation to long-term financial products, that there could be further litigation in relation to the sale of PPI in Ireland. Drones are an emerging and rapidly developing technology, and new legislation is proposed in Ireland to increase existing drone regulation and impose criminal liability for certain drone offences. The draft bill (the Small Unmanned Aircraft (Drones) Bill 2017) imposes an obligation on commercial drone operators to have insurance for any liability arising from drone operation, including potential collision with persons or property, and it will be a criminal offence to operate a drone for commercial use without insurance. There is no clear timeline for the implementation of this Bill. As this market continues to grow, it seems inevitable that drone insurance will be a growth area. Driverless cars and autonomous vehicles present particular challenges for the motor insurance industry. The existing driver-centred Irish legislative framework will need to be updated to facilitate driverless cars on Irish roads. The UK has proposed a single insurer model for driverless cars, where both the driver and the driverless technology are insured under one policy. While this has not yet been considered by the Irish legislature in any meaningful way, it can be anticipated that the Irish legislature is likely to follow the UK approach, given similarities between the existing road traffic frameworks in both countries. 1 Sharon Daly, Darren Maher and April McClements are partners at Matheson. 2 Regulations 83–101, Irish Regulations. 3 Regulation 51(3), Irish Regulations. 4 EIOPA, Final Report on Public Consultation No.14/017 on Guidelines on System of Governance, 99.